We all dream, and at one time or another we’ve experienced flying or falling sensations. 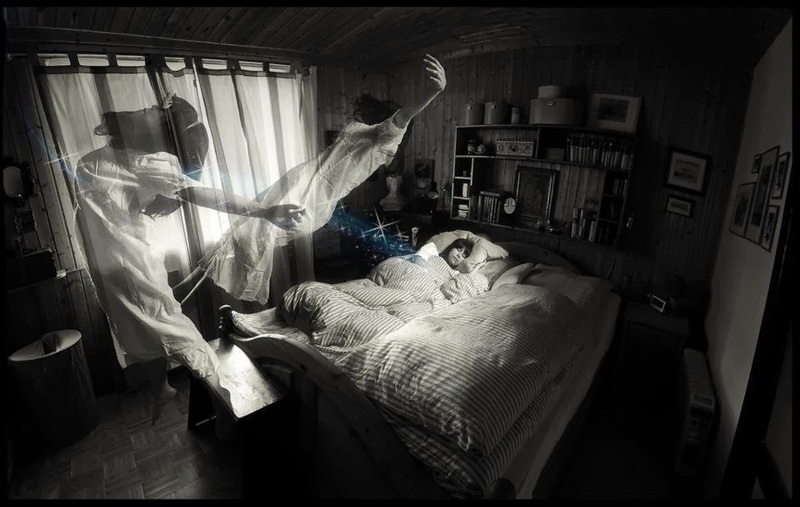 In rare cases, parapsychologists believe, that some people may be having more than a lucid dream – they may be experiencing an episode of astral projection. This out-of-body experience happens when your conscious awareness (or soul) leaves your physical body to travel about your house, city, continent or even other planes of existence. Some believe it’s a hereditary trait, while others believe you can train yourself. WikiHow has put together a nifty guide to explain the process: How to Perform Astral Projection – but do so at your own risk. Some believe there are inherent dangers to astral projection and contend that a growing awareness of other planes of existence lures malevolent entities to you. One of the major concerns is possession, but experts in the field say that’s impossible. Whenever your consciousness travels it is connected to your body by a Silver Cord that no one (or thing) can break. Unless of course you die at which point the cord is cut. This is the main premise of Insidious and Insidious: Chapter Two (which was recently released on disc). In the movie, a father and a son both involuntarily travel into a place called The Further and demons attach themselves upon their return. Of course, one of them ends up getting possessed. So the next time you dream of falling or flying, ask yourself if it’s just a dream or if you are exploring the paranormal.